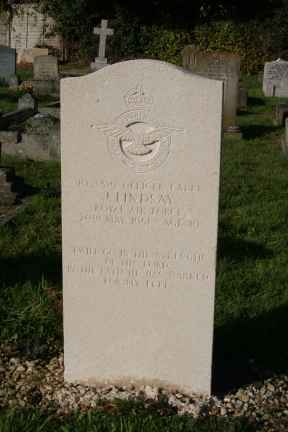 Off Cdt Lindsay was killed in Wellington T10 RP382 from No 1 Air Navigational School, RAF Hullavington. The plane crashed 1 mile east south east of Grittleton, during night navigational practice. Sgt Smid and Off Cadet Lindsay killed, navigator QAPhilip seriously injured.